Takes inspiration from your finest diamond ring. The gleaming Majestic Gold legs emulate a ring's elegantly slender prongs. 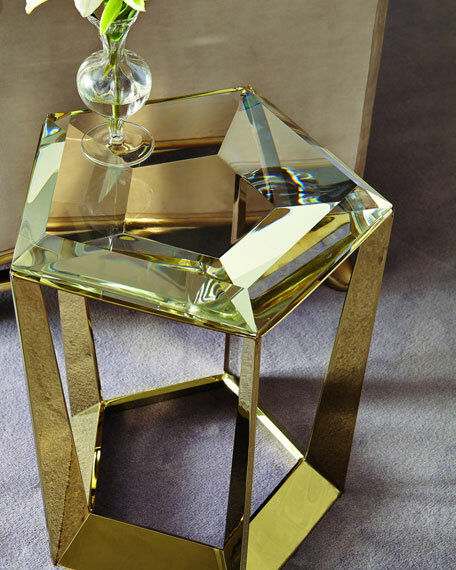 The table's crystal clear glass top is cut in the shape of a gem and is the perfect finish to a piece that sparkles in any room. 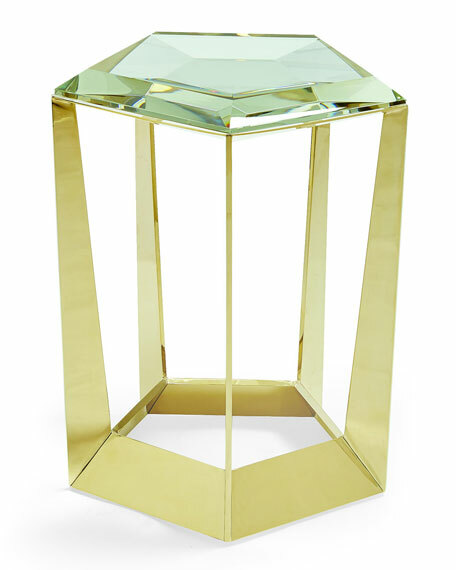 Metal base; crystal glass top. Approximately 17"W x 16.3"D x 20.3"T.